The standard vest should fit well, meaning you can’t see any shirt between the belt and bottom of the vest. Remember when we talked about buttons? (Just testing you. If not, see here.) 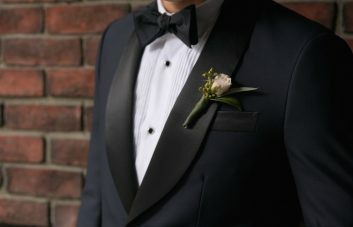 Like with suit jackets, leave the bottom button undone to avoid the dreaded ballooning of the vest. With the right vest, you can even ditch your favorite blazer and still look put together. Pairing a five-button vest with a made-to-fit shirt and silk tie will appear polished, professional, and totally business appropriate. With this one, you can leave the top button undone as well to avoid covering up too much of your tie. Try it out one day in the office and you can thank us after for the compliments you receive. A classic seven-button vest is traditionally more formal and wouldn’t usually be worn with a short or long-sleeved shirt on its own. 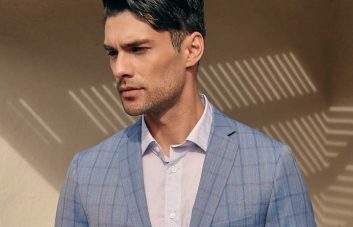 In most cases, a suit in a matching color and material should accompany a seven-button vest, but opting for another solid color like burgundy or charcoal can be a great fashion-forward look. In days past, almost every man would own some type of vest. 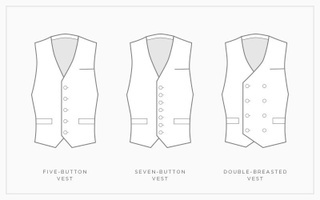 With these tips, you’ll stand out by knowing exactly which type of vest to wear and how to rock it. 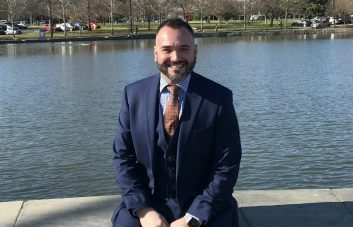 Nothing makes you look more put together than a 3-piece suit. Why not give it a try?